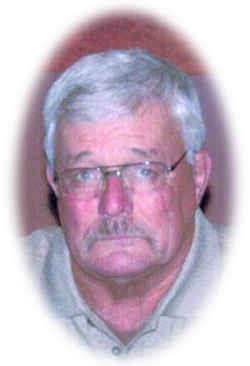 Robert S. Early, 73, of Moline, passed away Thursday, March 1, 2018 at Unity Point Trinity, Rock Island. Visitation will be 2-6pm, Thursday, March 15, 2018 at Rafferty Funeral Home, 2111-1st St A, Moline. Burial will be at National Cemetery, Rock Island with military honors conducted by the MAVA. Those wishing to attend should meet at the funeral home at 8:30am Friday, March 16th. In lieu of flowers, memorials can be made to Quad City Honor Flight or QC PAWS. Bob was born December 12, 1944 in Moline, the son of William and Alberta (Gathje) Early. He married Jeanie Miller in 1965. Bob was a US Army veteran having served during the Vietnam War. He retired from John Deere in 2004 and prior to that he worked at the former Ringle Express & Lee Early & Son Trucking. Bob was a member of [American] Legion Post 227, East Moline, VVA Post 299, VFW Post 8890, MAVA, FOE Post 1839, Friends Circle, the Svithiod Club, East End Club and the Viking Club. He enjoyed snowmobiling, boating, bowling and throwing pics. He especially loved his dogs, Abby, Max & Frank and Chuck The Cat. Survivors include his son, Jeff Early, Moline, sisters, Linda Klier, Moline and Sara (John) Robinson, Rapids City, IL and brother, Rick Early, Moline; nieces and nephews, Scott, Staci and Stephanie Early and many more beloved family members including, Collie, Cari and Kirk Olson and being Papa to Kaylyn Buckrop. He was preceded in death by brothers, Jim and Tom. The family invites everyone to celebrate Bob’s life at American Legion Post 227, East Moline at 2pm Friday, March 16. Bob was a classmate at Lincoln Grade School. Once we entered junior high, our paths went in different directions but those early years always remain a good memory. .